Strengthening Ministries Training Institute (SMTI) was established in 2010 and exists to promote excellence in Biblical Counselling in the local church in South Africa by training and equipping pastors and other Christians in the theologically accurate and practical use of Scripture in understanding and solving the problems of people, and thus promoting growth in and usefulness for Christ in the Church and the world. Auditing Track: this track presents the opportunity to attend the biblical counselling programme, without requiring the completion of assignments and exams. Accredited Track: this track requires you to attend all modules over the two years, class participation, completion of all tests and assignments.For entering the accredited track, applicants must have a BA/Honours in any field of study. Preference is given to applicants for the accredited track. Prerequisite for the Accredited Track. SMTI seeks to achieve a high standard of academic excellence and satisfy the requirements of a master’s degree. Therefore, SMTI will be presenting a short module, Introduction to Research and Writing, which covers essential information designed to introduce students to the SMTI standards of research and writing. Particular emphasis is placed on the style expectations of book reviews, module papers and projects. Furthermore, it will assist in developing effective habits of research and the necessary skills for completing the Master’s degree thesis. Attendance and completion of this Research Module are a prerequisite for all individuals seeking enrolment in the accredited track of the Biblical Counselling Programme, unless they have completed a research module or the equivalent previously. Students enrolled in the auditing track do not need to complete this module to be considered for the programme as their assignments and thesis will not be submitted for grading. SMTI has submitted an application for obtaining accreditation from the Department of Higher Education, the Council on Higher Education and Training, and the South African Qualifications Framework. 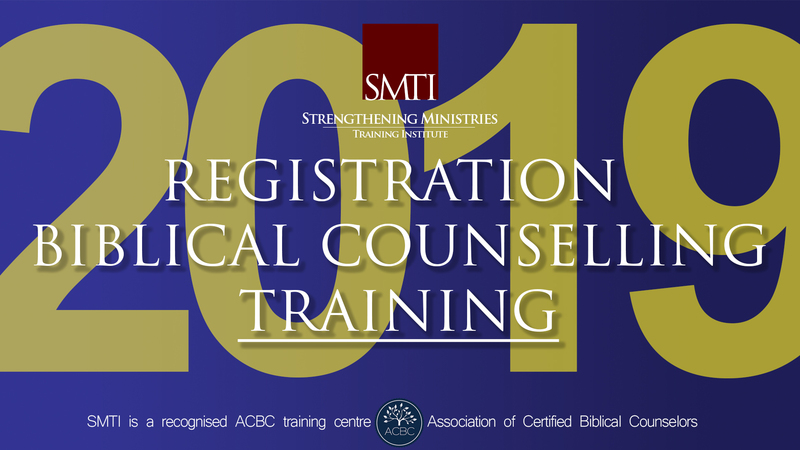 This will present the opportunity for students who complete the programme at SMTI, to obtain a Master’s Degree in Biblical Counselling in South Africa.